This interactive casino was founded in 2007 and ever since then it has been providing its customers with a wide range of high-quality games. What makes Sloto’Cash Casino a great place for online players is the fact that they can have an instant access to a number of great gaming options. With special promotions, COMP Point and a VIP Club, members of the casino can enjoy a top-class virtual betting experience. The games of Sloto’Cash Casino are provided by RealTime Gaming. This is why players can enjoy a wide range of slots and classic casino games which have intriguing themes, fun features and immersive sound effects. As the name of the website suggests, there is an abundance of slot games, most of which are 5-reel video editions. If you want to bet some money on roulette, blackjack on any other card game, you will definitely find an option which will suit your taste. This web-based casino has various editions of table games which are pretty impressive. There are numerous editions of roulette and blackjack and quite a few variants of baccarat and poker. Video poker and Specialty games are also available at Sloto’Cash Casino. 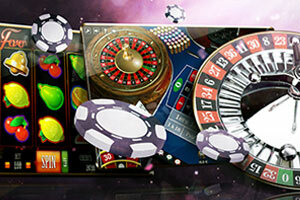 Players can also enjoy live-dealer variants of roulette, blackjack, baccarat and poker. Although players can have an instant access to quite a few games, they can enjoy the full list of Sloto’Cash Casino’s gaming products by downloading the software of the casino. 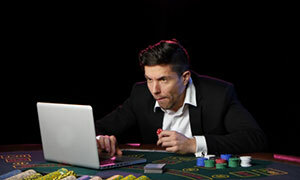 The live-dealer games are also available only on the desktop version of the casino. 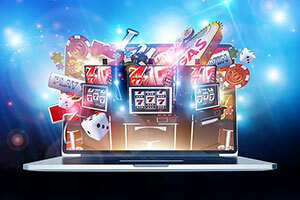 Players can also enjoy some of their favourite games while they are on the go since the virtual casino runs smoothly on Android and iOS portable devices. The interface of the casino is very user-friendly which allows customers to find all of the information they might need. Despite that, it is possible to have an additional question or experience an issue with gambling at Sloto’Cash Casino. This is why you can contact the Customer Support team of the casino. There are quite a few options to contact the casino’s representatives. The first one is via a live chat which is open 24/7. If you want, you can also send an e-mail at support@slotocash.im. There is even the option to speak to the support team via Skype by messaging the user support_slotcash. And last but not least, you can call the Customer Support operators of the interactive casino by dialling either the toll-free number 1 866-890-6745 or calling their regular number 1 657-208-5477. Online Since Sloto’Cash Casino was launched in 2007. Minimum Deposit/Withdrawal The minimum deposit that players should make in order to be able to play at Sloto’Cash is £20. The minimum withdrawal amount that players can cash out depends on the payment method they choose. For transactions via Neteller, Skrill and EcoPayz the minimum is £25. If casino members use Bitcoin or Bank Wire to withdraw their money, the minimum is £100, while using Cheque requires a minimum withdrawal of £150. 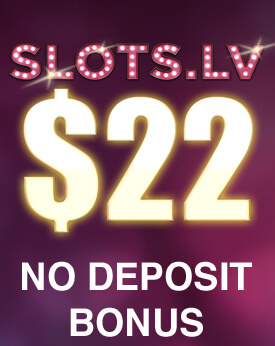 No Deposit Bonus Currently, a No Deposit Bonus is not among the promotions offered at Sloto’Cash. However, you should check the website regularly so that you can know all new offers of the casino. 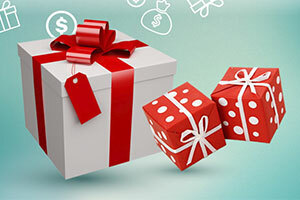 Welcome Bonus The casino offers an exciting Welcome Bonus Package to its new members. Newcomers can receive Match Bonuses on their initial five deposits and Free Spins for the slot game CASH BANDITS 2. The minimum deposit players should make in order to claim this Bonus is £20. Before players can initiate a withdrawal, they must meet the wagering requirements. The sum of their first deposit and bonus must be wagered 30 times. For the following four bonuses, players must wager the sum of each deposit and bonus 25 times. 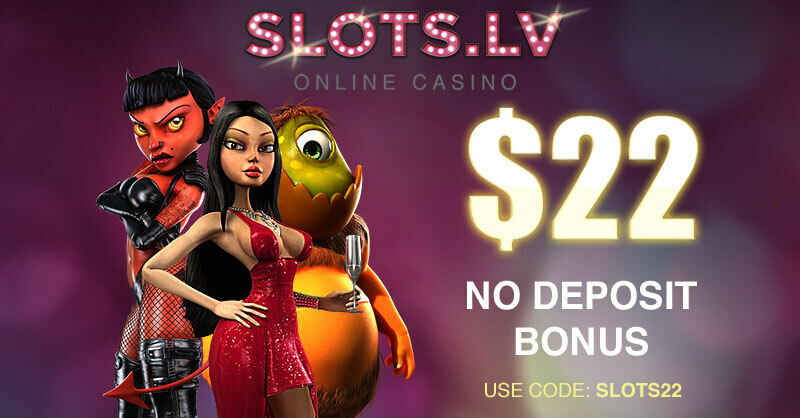 All deposit bonuses of Sloto’Cash casino have no max cashout limits. Regular Bonuses Players should often check the Promotions Page of Sloto’Cash Casino. 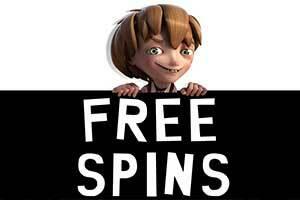 There are different Daily Promotions which award players with Free Spins or Deposit Match Bonuses. The wagering requirements you must meet before you can cash out your winnings are 30 times the sum of your deposit and bonus. Loyalty Programme Sloto’Cash casino offers its clients the outstanding opportunity to join their VIP club. This means that VIP members can enjoy impressive Daily Bonuses, more Comp Points and exclusive free gift. There are three levels of VIP membership – VIP GOLD, VIP PLATINUM and VIP DIAMOND. Comp points are received as players bet real money on the games of the casino. Once they collect 100 Comp Points, they can be converted into cash and be withdrawn. Sofware Sloto’Cash runs on the software platform of RealTime Gaming which is one of the leading software companies in the gaming industry. Popular Jackpots Among the popular jackpot games of Sloto’Cash, you will find titles such as Aztec’s Millions, Jackpot Pinatas, Cash Bandits 2 and Megasaur. Game Types Players will be able to find a wide range of different games available at Sloto’Cash. There are numerous variants of slots as well as table games such as roulette, blackjack, poker and baccarat. Fans of video poker will not be disappointed either as they can find editions such as Jacks or Better, Deuces Wild, All American and many more. The casino also offers quite a few Specialty Games such as Keno, Bingo and scratch cards. Live Casino Members of Sloto’Cash will be able to enjoy live-dealer versions of casino classics such as roulette, blackjack, baccarat and poker. The live-dealer games are available only in the download version of Sloto’Cash Casino. Mobile Casino Players can enjoy quite a few of the games of the casino even when they are on the move. The website of Sloto’Cash can runs smoothly on all Android and iOS mobile devices. Deposit Methods Players have plenty of deposit options when they want to top up their balance. They can opt for payments via VISA, MasterCard and American Express credit/ debit cards, e-wallets by Neteller and Skrill, a prepaid card by ecoPayz. Players can also make deposits by using Direct Money, banks transfers and Bitcoin. Currencies The casino allows players to set their accounts in USD. Language The website of Sloto’Cash is available only in English. Support The support team of Sloto’Cash can be contacted any day of the week. Whenever you have an issue with your gambling experience, you can reach Customer Support via a 24/7 live chat, an e-mail at support@slotocash.com or even via Skype by messaging support_slotocash. Players can also contact the support team via a phone call. The toll-free number is 1 866-890-6745 and the regular number you can dial is 1 657-208-5477. Licences The licence of the casino is issued in Curacao. If you are new to online gambling, you will be more than pleased with the options that you will be presented by Sloto’Cash. This interactive casino definitely knows how to please any player and make his/her experience gripping and fruitful. Even though many people are fooled by the name of the virtual casino, at Sloto’Cash, you can find different genres of casino games that will hopefully boost your gaming balance and will entertain you in the comfort of your own home. It is easy to forget about anything else, once you log into your account at Sloto’Cash. With the plethora of thrilling games, you can easily immerse yourself completely in your online gambling. The virtual casino runs on the software platform of RealTime Gaming which is a leading name in the iGaming industry. A wide range of the game available at Sloto’Cash can be played instantly and are compatible to run smoothly on the browser of both your desktop and mobile devices. 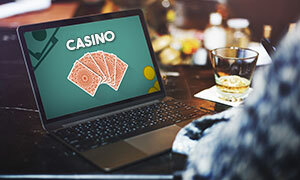 However, if you want access to the full list of gaming options of the online casino, you could download and install the software of the interactive casino. If you are a fan of slots, then Sloto’Cash is definitely the best destination for you. After all, even the name of the website says it all. 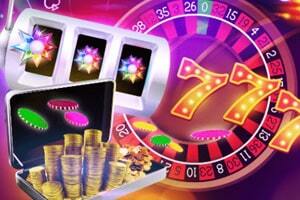 You can thoroughly enjoy your time at this virtual casino while spinning numerous fun and rewarding slots. At Sloto’Cash, you will find a host of slot variations that will make your experience more exciting and can possibly reward you amazing payouts. It really does not matter whether you enjoy playing standard slots that charm with their simplicity or you are more keen on the newest and enticing video slots that have plenty of additional features to offer. At Sloto’Cash, you will be able to find a title that will fit your preferences and will provide an enormous amount of entertainment and chances of good payouts. If you are browsing through the slot options at this virtual casino, you can try games like Bubble Bubble, Wild Wizards, Cash Bandits, Eternal Love and other exciting titles that Sloto’Cash is offering. All of these games offer special features such as multiple paylines, bonus rounds that are triggered with the help of Wild and Scatter symbols, as well as, many other exciting options. If you are intrigued by the charm of classic slots, you can always test your luck on 3-reel games such as Bank on it, Diamond Mine, Pharaohs Gold and many other fun variants of typical slot machines. If you are one of the millions of fans of roulette, then you will be more than happy with the variety of options you will be presented with once you become a member of Sloto’Cash. You will be able to enjoy your online gambling to the fullest and you will not miss even a single aspect of the experience offered at land-based casinos. 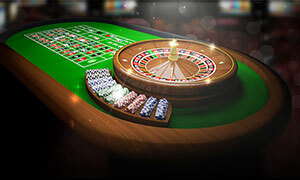 For those who are fans of European and French roulette, the interactive casino has prepared virtual roulette tables that have 37 sockets in which the roulette ball may land. A lot of roulette fans take a pleasure in playing these two variations of the table game due to their lower house edge. This is why casino patrons will be able to play games with classy design and betting features which can be seen at major land-based gambling facilities. If you are feeling extra adventurous, you can also play American Roulette which is also available at Sloto’Cash. At Sloto’Cash casino patrons will also have the chance to make their roulette experience more exciting by adding the element of interaction with other virtual players. Thanks to Multiplayer Roulette, you can join other casino enthusiasts on a roulette table and play alongside some great experts and fellow roulette fans. 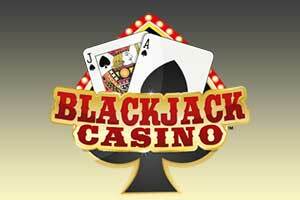 Blackjack is definitely also another extremely popular casino game that many players enjoy at gambling facilities all over the world. The great thing is that members of Sloto’Cash will also have the opportunity to relish several blackjack versions which have a lot to offer when it comes to entertainment and rewarding outcomes. To make your time at Sloto’Cash worth it, the online casino offers a handful of versions of the game of 21. This way you will be able to pick the table that provides the betting limits which suits your bankroll. What is more, there are plenty of variations that can make your gameplay more exciting and possibly more rewarding. This can be achieved by playing some of the blackjack games at Sloto’Cash that offer side bets. Titles like Blackjack + Perfect pairs, Suit’em Up and Match Play 21 allow players to receive additional prizes for their hands and make their game of 21 more rewarding. If you decide to join Sloto’Cash you will have the chance to pick from quite a few blackjack games and you can easily pick one that will suit your passion for riskier bets and bigger prizes. Other options that you will find in this category include Super 21, European Blackjack and Pontoon. Sloto’Cash is definitely a great destination for fans of video poker. If you are wondering how you can improve your virtual gambling experience, you can always start by picking the best video poker variation online. At this interactive casino, you will be provided with a wide range of options that can ultimately make your online gambling very fruitful and entertaining. At this web-based casino, you will be able to pick the video poker game that you believe will suit your preferences the best. You can pick variations that utilise 1, 3, 10, 52 or 100 hands. This will allow you to choose a game that will require a smaller bet or you can opt for a version that will reward you generously for your high stakes. If you become a member of Sloto’Cash you will be able to play a handful of versions of All American, Bonus Poker, Double Bonus Poker, Deuces Wild, Jacks or Better, Joker Poker and many other variants of the popular casino game. One way to make your adventure at Sloto’Cash more exciting is by playing one of its progressive games. This will give you the chance to test your luck and maybe even become a millionaire in an instant. All that you need in order to improve your chances of becoming the next lucky millionaire of Sloto’Cash is pick one of the progressive games the online casino is offering. In order to be eligible to receive the jackpot of any game, you will have to make a maximum bet or make the side wager that is required. This way if you land the winning combination, you will receive the progressive jackpot which has been steadily increasing thanks to the bets of other players. If you would like to test your luck on some of the games at Sloto’Cash you can play Aztec’s Millions or Megasaur which offer the current big jackpots. You can also opt for winning a pretty good payout by making a side bet on Caribbean Stud Poker, Caribbean Draw Poker, Caribbean Hold’em Poker and Let’em Ride. If you want to diversify your casino experience at Sloto’Cash, you will also have the chance to do so by playing several games that do not belong to the other categories that are present at the interactive casino. At the Specialty section of Sloto’Cash, player will be able to find table games such as Craps and Sic Bo. These can definitely make your online gambling more interesting and diverse. Bingo and Keno are also becoming quite popular among online players and this is the reason why casino patrons will be able to play titles such as Bonus Bingo, Keno and Roaring Twenties Bingo. Last but not least, members of Sloto’Cash will have access to several scratchcard games that can reward them great prizes if luck is on their side. In this category, you will come across titles such as Hot Dice, 5 Diamond Blackjack, Magic 7’s, Lucky 8’s, and Treasure Tree. What deposit options do members of Sloto’Cash Casino have? In order to help players to manage their funds in a fast and flexible manner, the casino accepts payments made via VISA, MasterCard and American Express credit/debit cards, digital wallets by Neteller and Skrill, ecoPayz card, Bitcoin, Direct Money and bank transfers. What are COMP Points and how do players receive them? Every member of Sloto’Cash Casino receives Comp Points every time he/she plays with real money. 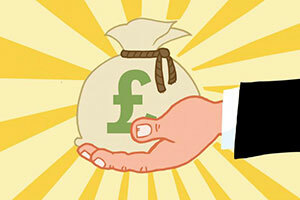 For every £1 that players wager on the games of the casino, they will receive a certain number of Comp Points. The games that casino members choose to play, as well as their VIP status, determine the amount of Sloto Points they will be awarded. When players have collected 100 Comp Points they can convert them into real money. Points are exchanged at a rate of 100 points for £1. What does the VIP Programme of Sloto’Cash Casino include? VIP members of the casino can make their gambling experience a lot more rewarding and fun. Joining the VIP Club definitely offers a lot of perks which are not available for regular players. VIP members can enjoy Daily Bonuses, a higher number of Comp Points, Monthly Cashbacks, Weekly Rewards as well as higher withdrawal limits. VIP memberships can be VIP GOLD, VIP PLATINUM and VIP DIAMOND. If players want to ask about joining the VIP Programme, they can send an e-mail at vip@slotocash.im.